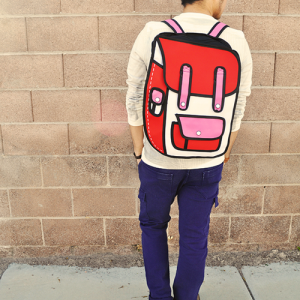 The Blue/Pink 2D Backpack is a gorgeous color combination that is easy on the eyes but still bold! Take your newly found companion to school with you. I can fit several large textbooks no sweat and I feel like everyone is looking at me! 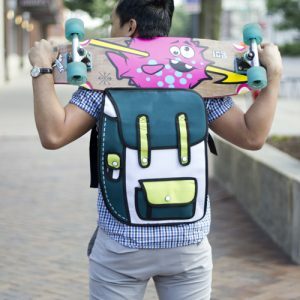 The Blue/Pink 2D Backpack is a gorgeous color combination that is easy on the eyes but still bold in fun! Take your newly found companion to school with you and be the envy of your school block. Definitely a popular 2D bag for the ladies as it tends to fit match plethora of outfits. What kind of lady cannot appreciate that? Take your bag everywhere.